The term 'Frank' is a collective term used in medieval times for western Europeans. Many of these knights have turned war into a profitable career by becoming mercenaries. 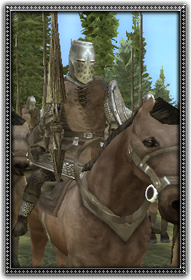 Well trained, clad in heavy mail and using a lance, these formidable soldiers are invaluable to whomever can afford them.